As our year starts to wind down, we might be coming to the realization that we didn’t accomplish everything that we had planned on this year. For some of us this area might be the same one we’ve been talking about … for years. It may be our financial situation, our job, our health, where we live, our relationships, or even the way we feel about ourselves. Path #1 – Hope the situation will change by itself. Path #2 – Make excuses as to why you can’t change and then end up having the same dialog next December or January. Path #3 – Choose to accept your situation exactly the way it is and decide to be happy … just the way it is. Sometimes what we say we want is not really what we want. Path #4 – Choose to change your attitudes and/or beliefs about your situation and then take the necessary actions to correct it so you can have the results that you want. 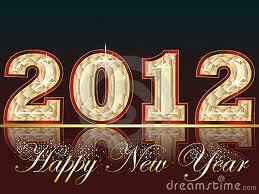 Is there anything about your life that has to change in order for you to have a successful year in 2012 or to have a successful life? Which 1 of the 4 paths do you really need to apply to this situation? Why? How will you stay on track so you can achieve success in this area of your life? How can you be held accountable even thought you really don’t want to? Wishing and hoping for things to be different is not going to get you where you want to go. Don’t wait till the first of the year to start thinking about how you want your 2012 to be even better… that is unless you’re totally and completely happy with the way your life is going and don’t want to change a thing! Start thinking … better yet … start writing! If you’re interested in finding out how 2012 can be different email me: joe@aliveatwork.com and learn about an exciting new program! Just add “My Best Year Ever … in the subject line! I intend for this year to be this best ever in my life! I am going to put myself first in my life!